Some flavors are just classic pairs. Pork and apples are like that old couple that have been married for seventy years; cutely telling stories of past dishes and finishings each other's sentences. 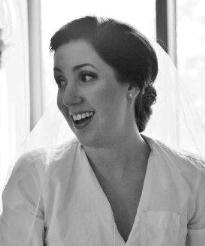 "In 1982 we did pork chops and apple sauce and of course on our honeymoon it was apple stuffing." Yeah, I just created a fake pork/apple memory dialogue. They just make sense together. But why would you read this blog if I just gave you the same old same old? Parsnips and caramelized onions spice things up for this old couple -- lending complexity of flavor and textural variety. They're not gonna know what hit 'em. 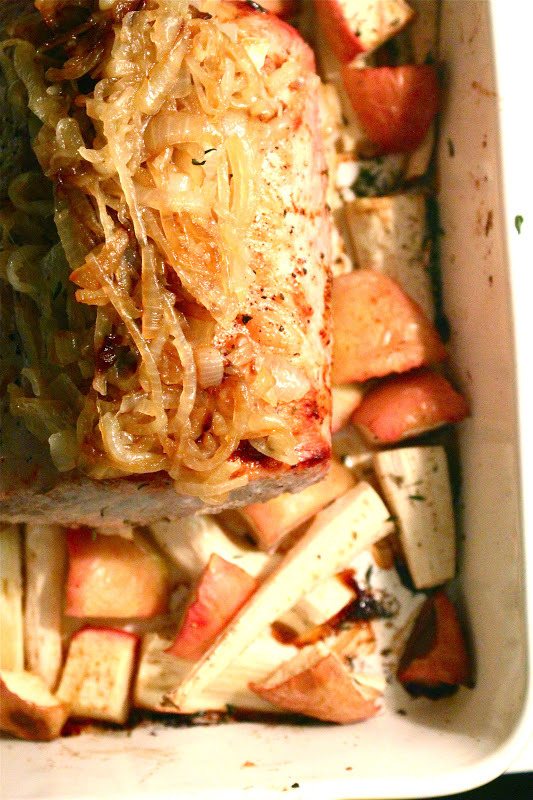 Apples, parsnips and thyme will roast under the pork loin, absorbing all of its gorgeous juices and flavors. Ready to roast, with a touch of olive oil and herbs de provence. Roast until 145 degrees internally. Did you know that the USDA now states 145 is the safe cooking temp for pork? No need to worry about pork doneness if you have a reliable thermometer. While the pork is cooking, you'll caramelize the onions. Remember, this is very low and slow kind of deal. It will actually take about an hour. Preheat oven to 350 degrees. 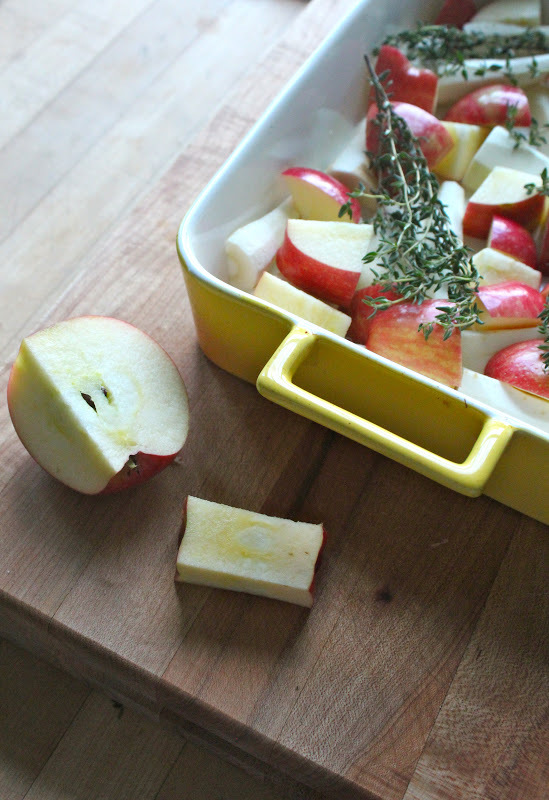 Place parsnips and apples in the bottom of a roasting pan and top with thyme. Brush pork loin with 2 tablespoons olive oil and rub in herbes de provence. Place in oven. Heat remaining olive oil in a large pan over very low heat. 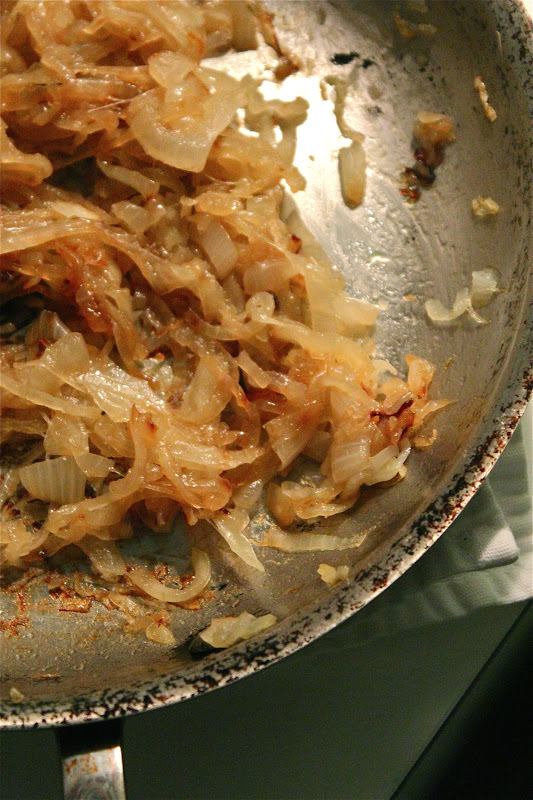 Add onions and cook on lowest setting -- stirring frequently for 45-60 minutes, until a deep caramel color develops. Roast in oven 40-60 minutes or until internal temperature reaches 145 degrees. Allow meat to rest 10 minutes before thinly slicing and serving with apple, parsnip and onions. Note: The company I work for represents the National Pork Board, which is where I learned about the temperature change. I was not asked to write this post, nor compensated for doing so. Just thought it was interesting.